English: This is a solid version of the Utah teapot. I couldn't find one on here that didn't have a separate lid, so I made one. I don't know what scale it's set to, I've only printed it once, and the software for the printer allowed me to scale it, so I hope it works for you. 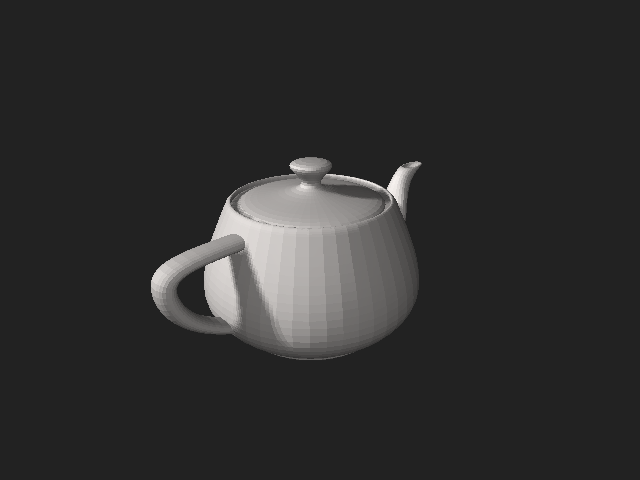 I used 3DSMAX to create the teapot and brought it into Blender, where I joined all the pieces together, sealed the holes and removed all the overlapping parts. This was then exported to STL.